The James Baird Jr household appears in the 1850 Federal Census for Ohio, Ross County, Bourneville. (7) James Beard is listed as age 45, a butcher, born in Ohio. Eliza Beard is listed as age 48 and born in Virginia. Jane E (Eliza) Beard is listed as age 15 and born in Ohio. Also listed as living in the Beard household in 1850 is Albert Myers, age 5, who was born in Ohio and attended school during the year. The 1860 Illinois Federal Census for Sangamon County, Mechanicsburg Post Office, District #16, enumerated August 6th, lists the S. C. Older household. (13) S. C. Older is listed as a male, 23 years old. His place of birth is given as Canada, and his occupation is that of broom maker. Also residing in the household are: J. E. Older, age 24, female, who was born in Ohio; James Baird, 54 years old, male, butcher, born in Ohio; Eliza Baird, 58 years old, female, born in Virginia; Henrietta Drury, age 17, female, born in Ohio; and Albert Baird, age 14, male, born in Ohio. Albert Baird probably was the Albert Myers listed in the 1850 census for this household. The occupation of butcher listed for James Baird in the 1860 census is consistent with the occupation listed for him in the 1850 census. Jane Eliza Baird died in (?3?) May 1911 (?1914?) and is buried in the Munford Cemetery in Covington, Tennessee. (22) The date of death of Samuel Clarence Older is not known. We could assume he died before 18 February 1896 when Jane Eliza Baird Older remarried. The place of death and the place of burial is not known for Samuel Clarence Older. 1) Illinois Marriage Records, James Grant Older and Minnie F. Lorenz, married May 21, 1885, in Danville, Vermilion County, Illinois. Volume V, Vermilion County, IL, Marriages, Vermilion County Court Records, Film #1298746:1298749. Lists S. C. Older as father and Elisa Baird as mother. 2) Marriage license for Samuel Clarence Older and Jane Eliza Baird, August 11, 1856, Ross County, Ohio. Marriage solomized by Samuel J. Durham on August 14, 1856. Volume G3, Page 247. 3) 1860 U. S. Census for Illinois, Sangamon County, Post Office - Mechanicsburg, Page 347, District No. 16, enumerated August 6, 1860, by J. H. Currier, Dwelling #2467, Family #2467, S. C. Older, age 23, male, Broom Maker, personal property = $100, born in Canada, J. E. Older, age 24, female, born in Ohio, over 20 years of age and cannot read or write, James Baird, age 54, male, Butcher, real estate = $75, born in Ohio, over 20 years of age and cannot read or write, Eliza Baird, age 58, female, born in Virginia, Henrietta Drury, age 17, female, born in Ohio, Albert Baird, age 14, male, born in Ohio. 4) 1862 and 1863 Military Census for Sangamon County, Illinois, page 68, Town of Mechanicsburg, County of Sangamon, Illinois, page 73, #256. Older, Samuel C. is listed as age 25, born in Canada, a farmer. Page 76 shows the total Enrolled for the town as 377 with 121 already Volunteered for service. The census probably listed male citizens between the ages of 18 and 45. 5) 1870 U. S. Census for Illinois, Vermilion County, Danville Township, Post Office - Danville, page number 15, enumerated July 4, 1870, by James A. Davis, Dwelling 124, Family 123, Samuel Older, age 34, male, white, Broom Maker, born in Canada, male citizen of U. S. 21 years old, Eliza Older, age 36, female, white, keeping house, born in Ohio, Rose Older, age 8, female, white, born in Illinois, father foreign born, James Older, age 6, male, white, born in Illinois, father foreign born. 6) 1880 U. S. Census for Illinois, Vermilion County, Village of Germantown, Roll T9_255, Family History Film 1254255, Page 290D, Enumeration District 208, Image 0069, Dwelling 284, Family 305, Samuel Older, white, male, age 43, married, painter, born in Canada, parents born in England, Eliza Older, white, female, age 46, wife, married, at home, born in Ohio, father born in Ohio, mother born in Virginia, Rose Older, white, female, age 17, daughter, single, at home, born in Illinois, father born in Canada, mother born in Ohio, James Older, white, male, age 16, son, apprentice to painter, born in Illinois, father born in Canada, mother born in Ohio. 7) James G. Older, Minnie, Roy, Nellie, Maybelle, and James' mother Eliza (Baird) (Older) Wire are listed in the 1900 U. S. Census for Indiana, Vigo County, Terre Haute, Harrison Township, Ward #8, enumerated June 2, 1900, house number 1658, dwelling number 51, and family number 52. 8) There probably is an obituary for James Grant Older in the Danville Commercial News shortly after March 31, 1946, his date of death. 9) There should be a Death Certificate for James Grant Older, either in Detroit or Dearborn, Michigan, or possibly in Danville, Illinois. 10) There may be an obituary in a newspaper and a death certificate for Jane Eliza Baird. According to Sarah Hamer Chumney, Jane Eliza Baird died on (?3?) May 1911 (?1914?) and is buried in the Munford Cemetery in Covington, Tennessee. She was living with her daughter, Annabelle, at the time. 1. Source not known. Probably obtained from Janet Zillman Shinkle, daughter of Wilma Jane Older Zillman. 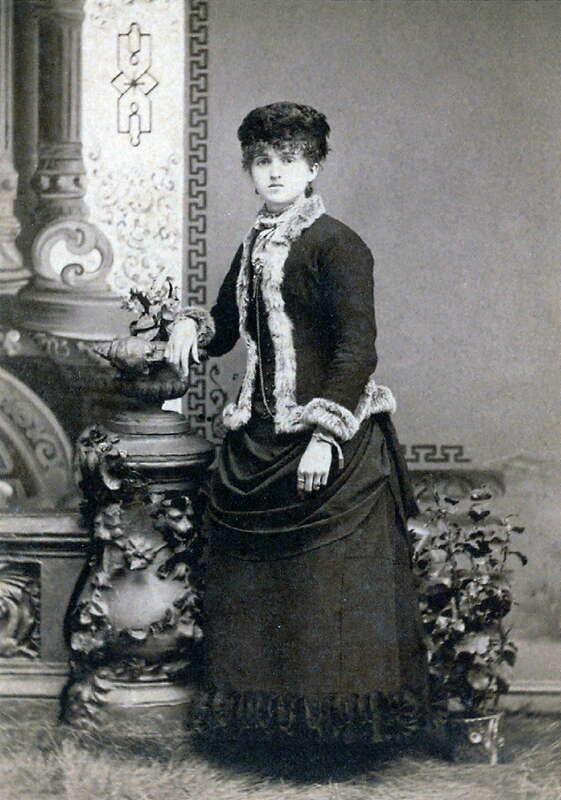 Wilma Jane Older was a granddaughter of James Grant Older, a son of Samuel Clarence Older and Jane Eliza Baird Older. 2A. BAIRD FAMILY from Helen Culbreath Hamer’s handwritten notes from information her Grandmother Anna or Mother Gertrude passed on to her. An old newspaper clipping shows that Mrs. John A. Black was a cousin to Eliza Older. The Blacks lived at Marshall, Illinois when the Olders were living in Danville and Eliza saw the name in the paper and contacted the cousin. They were reunited with a dinner party at Mrs. Black’s home. Erastus Baird & family and Mrs. Sallie Baird attended also. 2. 1850 Ohio Federal Census for Ross County, Union township, city of Bourneville, enumerated September 25th, page 358, roll M432_725. Household of James Beard, age 45, male, butcher, birthplace Ohio; Eliza Beard, age 48, female, born in Virginia; Jane E. Beard, age 15, female, birthplace Ohio; Albert Myers, age 5, male, born in Ohio. 3. Ohio, Adams County, Marriage Records, Anderson, Eliza, Baird, James, Jr., Aug 16, 1827. 5. 1850 Ohio Federal Census, Ross County, Union township, city of Bourneville. 7. 1850 Ohio Federal Census, Ross County, Union township, city of Bourneville. 8. Ross County, Ohio, marriage records, Samuel Older and Jane Eliza Baird, August 14, 1856. 9. The Descendants of Samuel Older by Susan L. Bingler, copyrighted February 2000. 10. Illinois Marriage Records, James Grant Older and Minnie F. Lorenz, married May 21, 1885, in Danville, Vermilion County, Illinois. Volume V, Vermilion County, IL, Marriages, Vermilion County Court Records, Film #1298746:1298749, lists S. C. Older and Elisa Baird as his parents; Illinois Marriage Records, John N. Butner and Rosabelle Older, married February 27, 1883, Vermilion County, Illinois; 1870 Illinois Federal Census, Danville Township, Vermilion County, enumerated July 4, 1870; 1880 Illinois Federal Census, Village of Germantown, Vermilion County; 1900 U. S. Census for Indiana, Vigo County, Terre Haute, Harrison Township, Ward #8, enumerated June 2, 1900, house number 1658, dwelling number 51, and family number 52, James Older head of household. 11. Illinois Marriage Records, John N. Butner and Rosabelle Older, married February 27, 1883, Vermilion County, Illinois. 12. Illinois Marriage Records, James Grant Older and Minnie F. Lorenz, married May 21, 1885, in Danville, Vermilion County, Illinois. Volume V, Vermilion County, IL, Marriages, Vermilion County Court Records, Film #1298746:1298749. 13. 1860 Illinois Federal Census for Sangamon County, Mechanicsburg Post Office, District #16, enumerated August 6th. 14. 1870 Illinois Federal Census, Vermilion County, Danville Township, dated July 4, by James A. Davis. 15. 1880 Illinois Federal Census for Vermilion County, Germantown, Post Office Danville, enumeration district #208. 16. Peoria, Illinois, City Directory, 1890 and 1891, Samuel Older. 17. 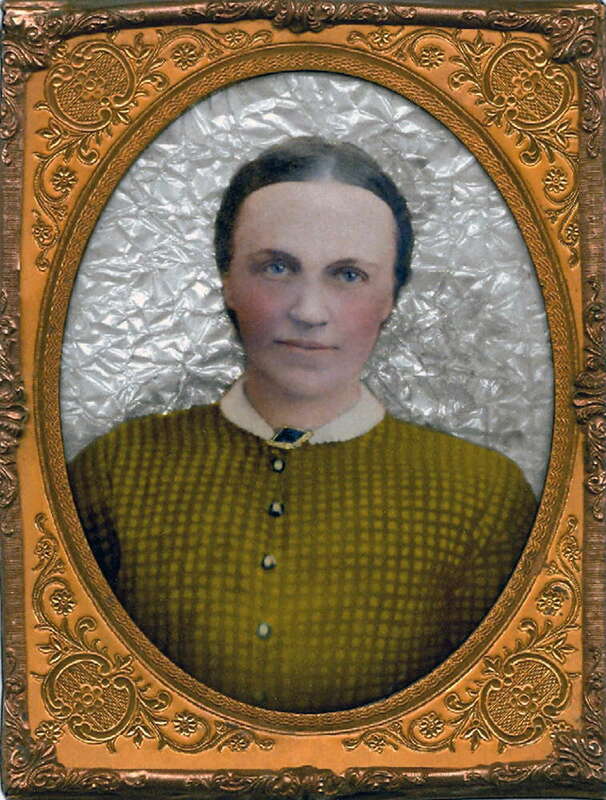 Jane Eliza Baird Older Entry, Vermilion County, Illinois marriages v. 3 p. 100. 18. Civil War Soldiers and Sailors System, National Park Service, David B. Wire, 28th Illinois Infantry, Union, Company G, Soldier's Rank_In - Private, Soldier's Rank_Out - Private, Film Number M539 roll 99. 19. Bingler, Susan L., CGRS, Samuel Older of Sussex, England and His descendants in America, draft version, June 2005, page 35. 20. 1900 U. S. Census for Indiana, Vigo County, city of Terre Haute, James Older household. 21. 1910 U. S. Census for Illinois, Macon County, city of Decatur, Decatur Township, Ward #6, enumerated April 21, 1910, enumeration district #117, Sheet 10 A, house number 1657, dwelling number 226, and family number 271.